Have you been reading up on what Richard Branson and Elon Musk have to say about turning your idea into a business? Does watching Mr. Wonderful on “Shark Tank” get your entrepreneurial fires burning? Before you dive into the world of risky business – quite literally – do you have what it takes? The following is a list of a few of the skills you must possess in order to be able to effectively head a startup business. The ability to handle risk First and foremost, you must recognize that being an entrepreneur is not just about big payouts and innovative ideas. About 80 percent of businesses fail; and that’s not counting the number that perform below the entrepreneur’s billionaire expectations. You will likely struggle with substantial amounts of debt until your business takes off – if it even takes off. With great risk comes great reward – or an equally not-so-great amount of loss. During such times of uncertainty, will you be able to focus on figuring out your marketing plan, responding to customer complaints and paying what must be paid to produce your product or service; or will you be constantly obsessing over costs and cutting corners until you sacrifice the core of your business? Stress management Can you schedule like a boss and get the sleep, exercise and meals you need to keep yourself going while juggling multiple tasks and time with the people you care about? If you can, you will be prepared to keep your mind and body sharp to make sure you are in the right state to be a strong asset to your business. Your day-to-day will likely include work from the time you wake up and leap to check your inbox to the time you go to bed and Excel sugar plum fairies dance in your head. You will have meetings that cannot wait when you really need to be working on a pitch for a potential investor and your supplier will call you right as you step out for lunch to tell you they arrived early and could you please sign for the delivery now? And do not forget your girlfriend or boyfriend would like to see you at some point this month in your non-existent free time. Burnout and depression are very real risks of becoming an entrepreneur. Make sure you are ready to take care of yourself when it gets to be too much. Communicate effectively Does it take you five or ten minutes to explain a concept to someone? If it does, you have already lost at getting funding or getting people inspired to learn more about your business. If you cannot define your business or idea to someone in a clear, succinct twenty to thirty seconds, they will stop listening. Additionally, what is your value add for customers? Can you convey it in a way that entices them and leaves them wanting more? If you can do these things, you are on the right track. Say it a million times with passion You are going to be asked to pitch your business idea, answer the same questions and respond to the same points of contention again, and again, and again…and again. Have you ever done jumping jacks for five consecutive minutes? Imagine that this is an exercise in keeping the same enthusiasm with each jump. There will be days when you are so tired of hearing yourself say the same thing and want to sigh as you babble out your rehearsed answer. Oops. That could have been your big investment offer you just sighed and babbled at. Even when your tank is running on fumes, an entrepreneur digs deep and remembers why they are doing what they are doing. 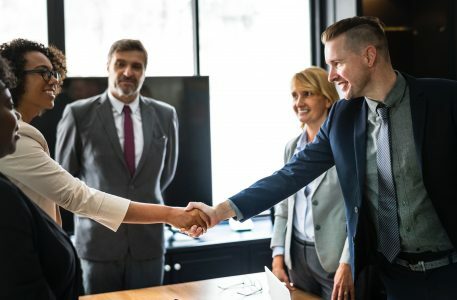 When the next person approaches them wanting information on the business, the entrepreneur slaps on a smile and finds something deep within themselves to make sure that person knows this business is being run by someone who wakes up every morning eating and breathing their business with their heart in it. Listen, and I mean truly listen You have a lot to learn when you start a business whether it is your first go or your fifth. You are one person. You cannot possibly know everything about your industry, your customer or every venture capitalist and angel investor with whom you will be shaking hands. When someone with insights you may not have opens their mouth, open your ears. A potential customer might be telling you that their issue that your product is supposed to be addressing was not adequately addressed when they tried your offering and this might be the billion-dollar information you need to tweak your product. Another entrepreneur might know an angel investor well to whom you will be pitching next week. Get all of the intel you can get. Now, does this mean every bit of information is gold or even accurate? No, of course not. However, if you think someone may know more than you about something relevant to your business, hear them out and see. The ability to ask for help Surely you are an intelligent, skilled individual with great ideas. That does not mean you are a superhuman. If you do not know how to do certain tasks that matters to your business, ask someone for advice or instructions. Do you know how to figure out your revenue projections? If not, do not just go pitch to potential investors hoping they will see your passion and the sweat capital you have been putting in. Investors are out to make money, not toss money to kids with dreams out of the kindness of their hearts. If you cannot show them what kind of money you estimate that your business could bring in in the next five years, how can they envision a return? If you do not know how to show them that, ask for help. Work with people effectively Whether you are starting your business on your own or with a partner, the idea is to grow it. If you grow it, the odds are that you will need to hire other people to work with you. You do not have to be a teamwork guru but you do need to inspire others to back your idea; and if you cannot do that, you better have a business partner or a hired employee who can do that for you. Especially in the early stages, your business will be volatile and full of uncertainty. If your employees are not inspired by your business and you, your partner or the person you hired who has better people skills, when the tough gets going, so will your good employees. Remember that a smile, a genuine ‘great job today!’ and asking the intern how her mom’s 50th birthday party went last weekend can go a long way. Be tireless Justine Musk, author and ex-wife of Elon Musk, said it best - “You're determined. So what? You haven't been racing naked through shark-infested waters yet. Will you be just as determined when you wash up on some deserted island, disoriented and bloody and ragged and beaten and staring into the horizon with no sign of rescue?” That is a little intense but entrepreneurship is challenging and it can beat you down and build you up. On the worst of the worst days, will you still be able to pull yourself up and keep moving forward? If the answer is a big fat ‘yes’, get out there and start talking to potential customers and start that market research. If you feel that you possess these skills or are ready to develop them and put them to the test, welcome to the exciting world of entrepreneurship. Hold on tight!